When you start your Outlook next time after the installation you will see a new button for NoMoreDupes. In Outlook 2007, Outlook 2010, Outlook 2013 and Outlook 2016 you see a new ribbon tab ‘NoMoreDupes’. 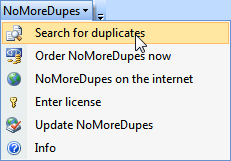 For searching your Outlook duplicates click on the button ‘NoMoreDupes’ > ‘Search duplicates’ and a dialogue will open where you can select the folders you want to examine. Click on the button ‘Search Duplicates’ to examine your Outlook items. 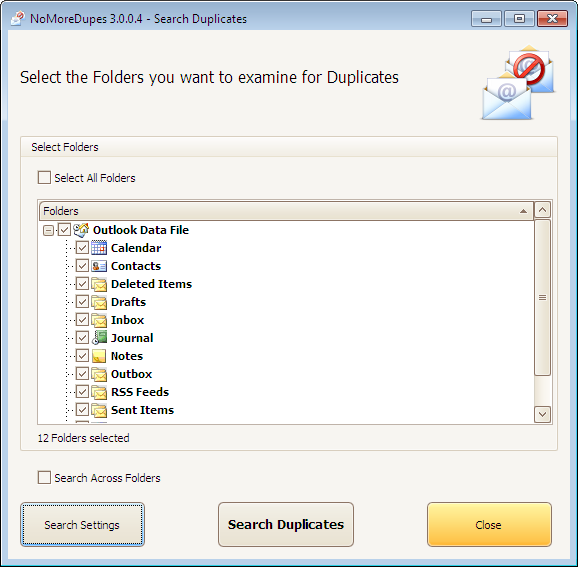 NoMoreDupes for Outlook found 20 duplicates which are displayed in a preview: The older duplicate is already ticked. At this step you can manually decide what item the real duplicate is. The appropriate item will be popping up if you double click on an entry. If you right click on the root of each duplicate then all corresponding items will be opened and then you are able to decide easily what item you want to delete or not. 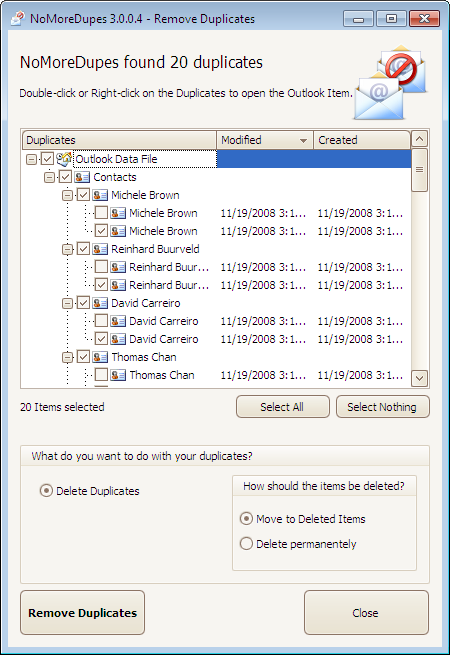 A Click on ‘Remove Duplicates’ will start the process of removing your Outlook duplicates. You can now delete your Outlook duplicates permanently or move your Outlook duplicates to the folder ‘Deleted items’. At the end of the deleting process you could have a look at the log file.